Eight witness yesterday testified in the Lusaka High Court in a matter in which four people have been accused of suspected ritual killings that rocked the city early this year. 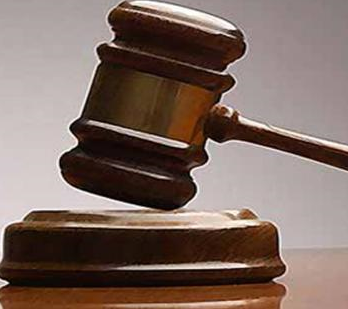 The four suspected ritual killers who were arrested and charged with seven counts of murder have appeared before high court judge Florence Lengalenga. Meanwhile ,39 witnesses are expected to testify in the matter involving the four. And yesterday, the eight witnesses testified how their loved ones were brutally murdered by unknown people. Boniface Chipoya has told the court how his nephew was murdered by unknown people in the early hours of 17th March in Lusaka’s Lilanda compound. He said when asked to Identify the body of his nephew at UTH, he discovered that his private parts and ears where missing from his body while his testacies were intact. And When asked during cross examinations to give evidence of who killed his nephew, Mr Chipoya could not Identify the killers. Meanwhile, 47-year-old Faustina Zulu also testified how her son Alex Zulu was killed and his body dumped near a market in Lusaka’s George compound. Ms Zulu told the court that when rushed to the market to check if truly the body discovered was that of her son, she saw his private parts and ear missing from his body. Another witness, a teacher by profession told the court how his brother in law was killed with his heart and private parts removed completely. And when asked by defence lawyers if he saw the killers, Mr Zechariah Sakapize said he could not Identify them as he was not present during the murder. Meanwhile, Mr Joshua Mwaba of Mufulira has also told the court how he received a phone call only to be told his son has been murdered gruesomely by suspected ritual killers in Lusaka. The four suspects who include two ZAF officers are Lucky Siame, Lewis Chishimba Bwalya, Christopher Kasapo and Elvis Nyanga. They are accused of having killed seven people in gruesome ways in Lusaka early this year. Why waste court time & money when one Frank Bwalya knows the perpetrators. He should be brought in for quick closure of the case or he should be prosecuted for alarming the nation. SO THIS CASE IS STILL ALIVE? WHY DOES IT GO INTO HIBERNATION (ESPECIALLY DURING ELECTIONS) AND ONLY RESUSCITATE NOW THAT CAMPAIGNS ARE OVER? THERE SEEMS TO BE A LOT OF ‘HEAVY HANDEDNESS” IN THIS CASE. WE ARE ABLE TO FAST TRUCK A DRUNKEN DRIVER & YET CASES OF NATIONAL INTEREST MOVE AT SNAIL’S PACE. WHATEVER HAPPENED TO MY ONCE BEAUTIFUL COUNTRY! These witnesses are useless, none of them testified as to the identity of the killers. Their testimony is only to the way the victims were killed. The state should be serious, the manner of the killings is already known before the courts. My advise to the prosecutor is find witnesses who can infer a link between the killings and the suspects. Otherwise stop wasting time. I totally agree with Guy [email protected] to court some witnesses who are able to identify the suspected killers. And with the way the court case is going I foresee those suspects walking to freedom. I hope the rest of the 39 witnesses will be able to identify the suspects. Buti PF through their spokesman Frank bwalya say it was the opposition, can release those accused and let PF lead you to the killers? Eight witness testifies to what?…..all i have read read is to that of killing their relatives…not as the suspects murdering the victims. My question is who was behind the gruesome murders…Police all that time…honestly!!!! Let the court release the suspects and mob justice to prevail on them.